This movie was good. I'm surprised I liked it as much as I did. 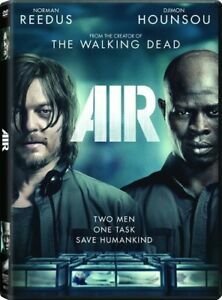 The whole movie is pretty much set in a few rooms and there aren't many actors in it, but hey, its got Norman Reedus from the walking dead in it... The other main character was a good actor too. Definitely worth watching. Movie was just okay. Love Norman Reedus. Verified purchase: Yes | Condition: pre-owned | Sold by: kingvideoinc.